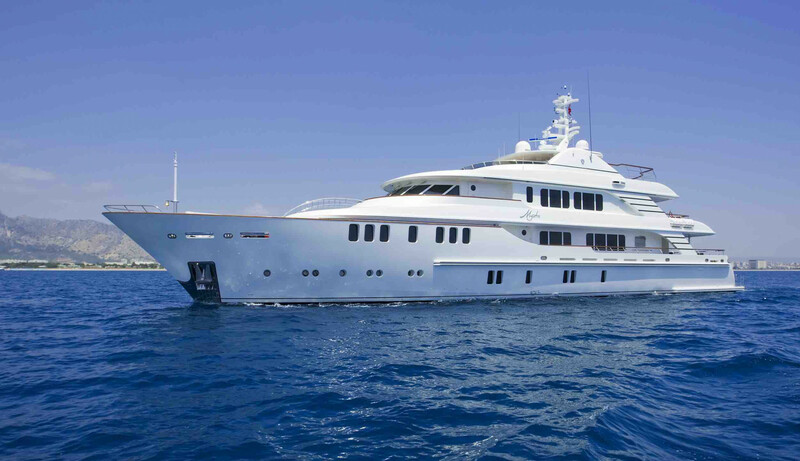 MYSTIC was the yard’s first yacht of a successful series that was introduced due to the stronger demand for motor yachts over 40m pushing for longer delivery times. 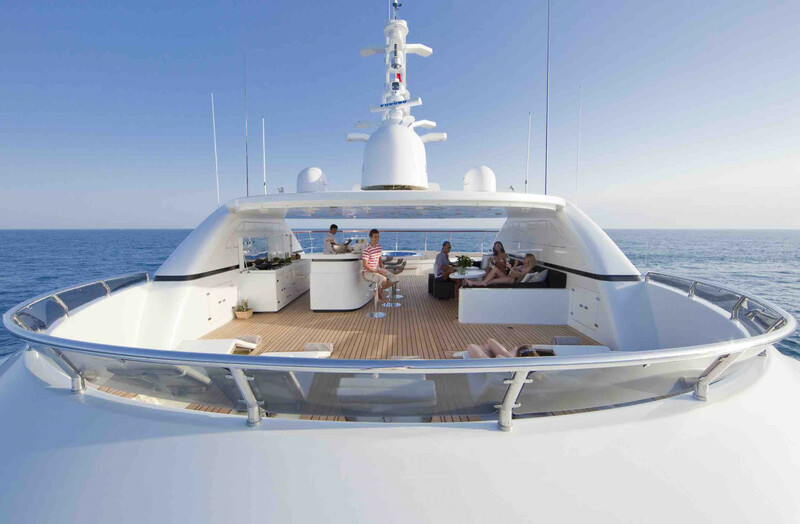 CMB took advantage of the in-house expertise and workmanship combined with world-class European equipment and suppliers to deliver a unique yacht on time and within budget. 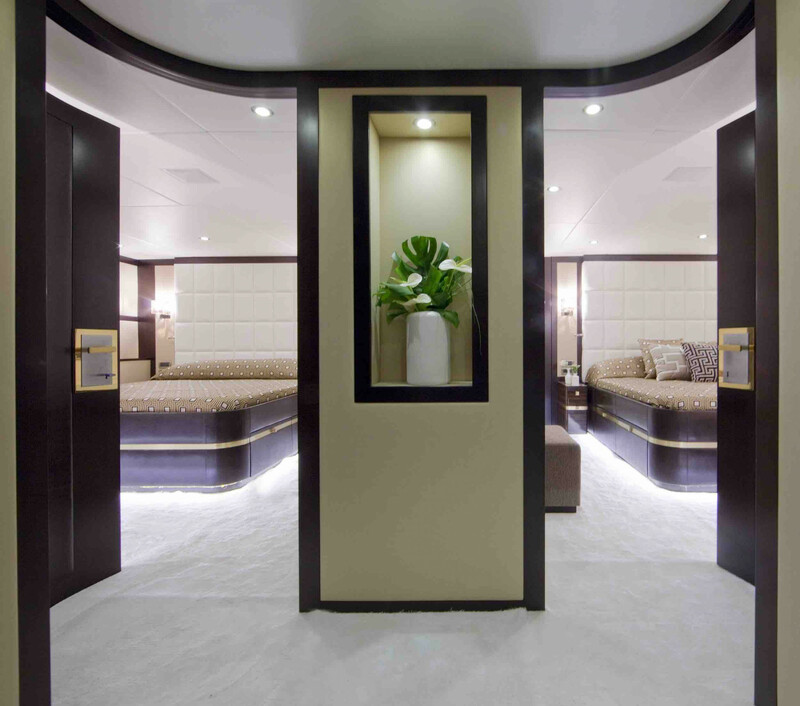 Her exterior lines are the work of the renowned Holland based Diana Yacht Design. 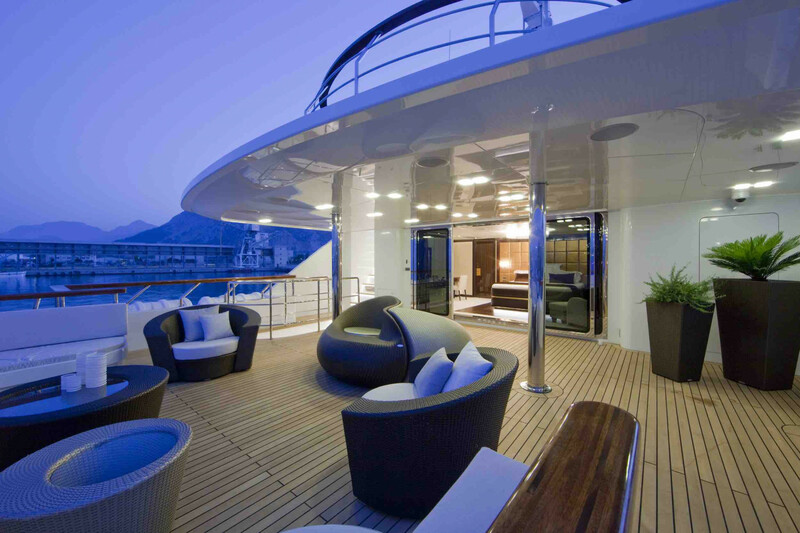 Set over three decks, her generous outdoor spaces play host to a wide range of amenities and ample space for sunbathing and relaxation. 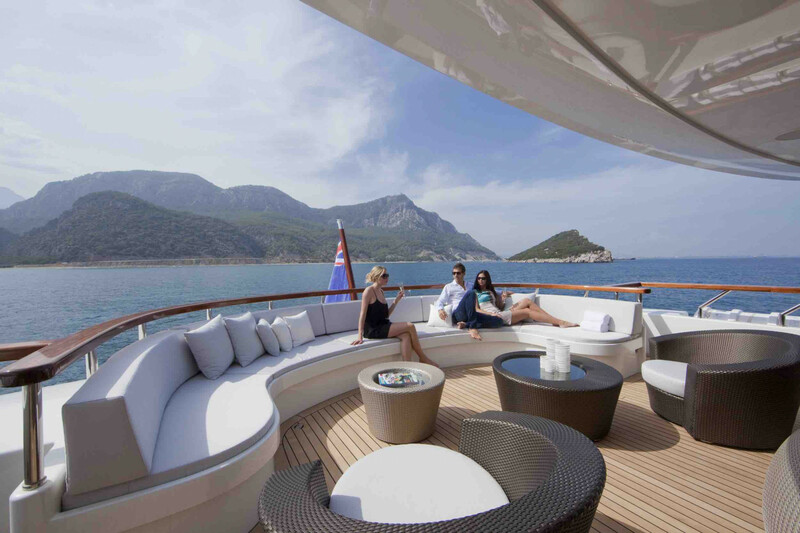 The impressive sun deck features a large Jacuzzi, covered outdoor bar with seating and five fixed reclining sun loungers, perfect for socializing, entertaining and taking in the spectacular views. 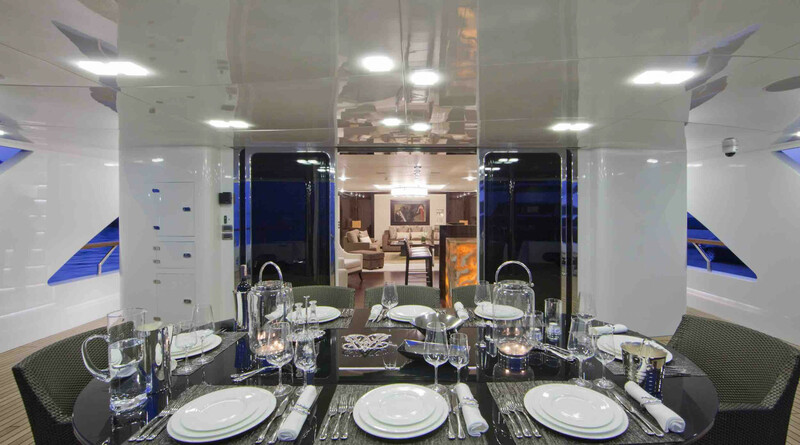 The spacious, covered al fresco dining area offers stylish furnishings and ample seating for any time of day whilst on the lower aft deck a large garage houses a large tender and a variety of water toys and diving equipment to keep even the most restless travelers entertained. 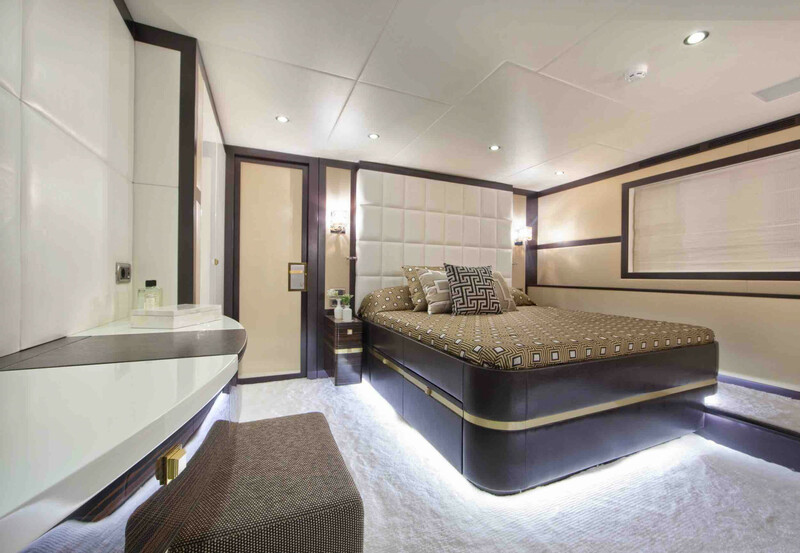 Beautifully styled by Schnaase Interior Design, her lavish accommodation features a unique layout that sleeps up to 10 guests in five sumptuous staterooms, with additional room for eight crew on board. 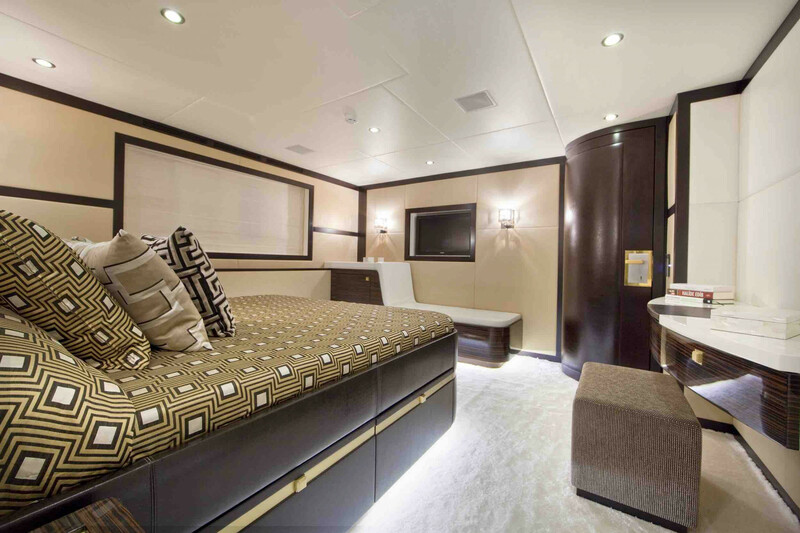 The superb owner’s suite is situated on the upper deck with a private aft deck, full beam dressing room, opulent en-suite bathroom and private study room, offering the ultimate in luxury and privacy. 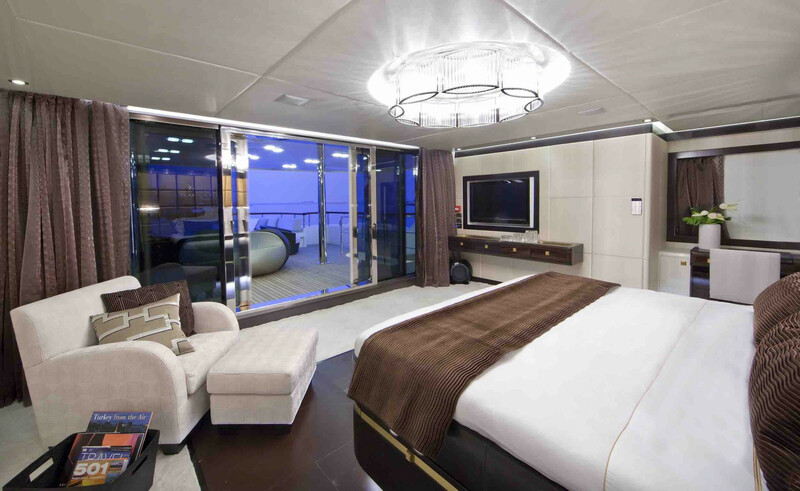 Her main deck is dedicated to comfort, leisure and entertainment, comprising a fully equipped gym, sauna, spa and private cinema whilst her decadent living areas play host to sumptuous seating and an elegant formal dining room. 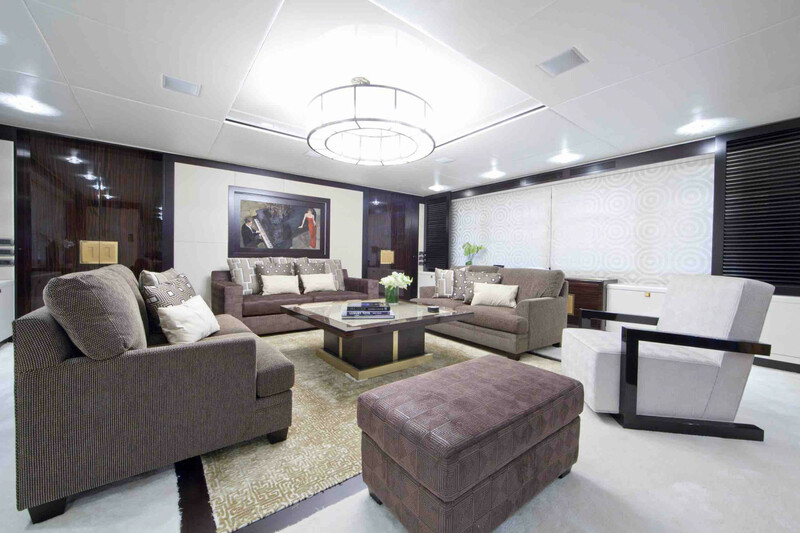 A modern Art Nouveau style blends with an elegant oriental flair to create a lavish yet comfortable feel. 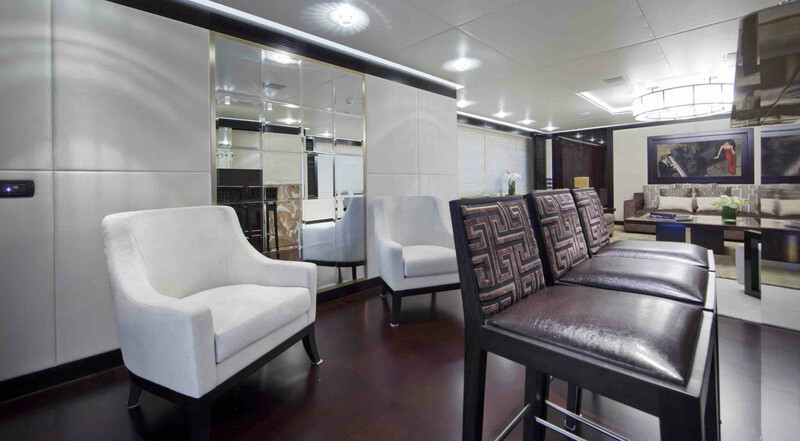 Deep Mahogany, Oak and Walnut woods are complimented throughout by light-reflecting white and silver lacquer work, a beautiful selection of silk and woolen fabrics, tiled bathrooms with marble and onyx floors and jewel encrusted light fittings. 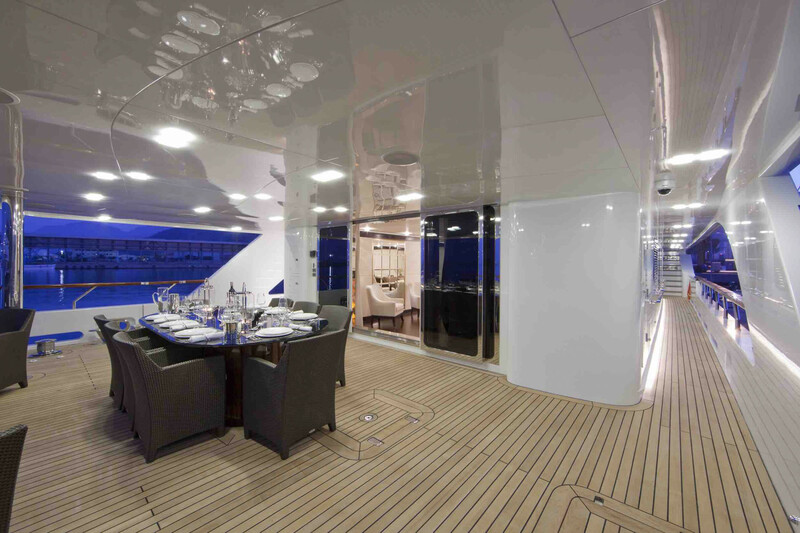 The large windows allow for plenty of natural light to enhance the feeling of space on board. 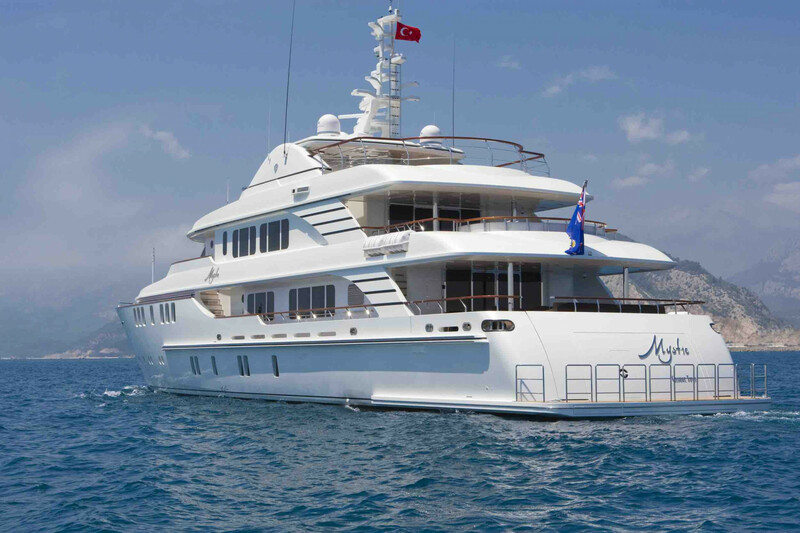 Twin MTU engines give Mystic a top speed of 17 knots with an estimated cruising range of 4000 nautical miles. 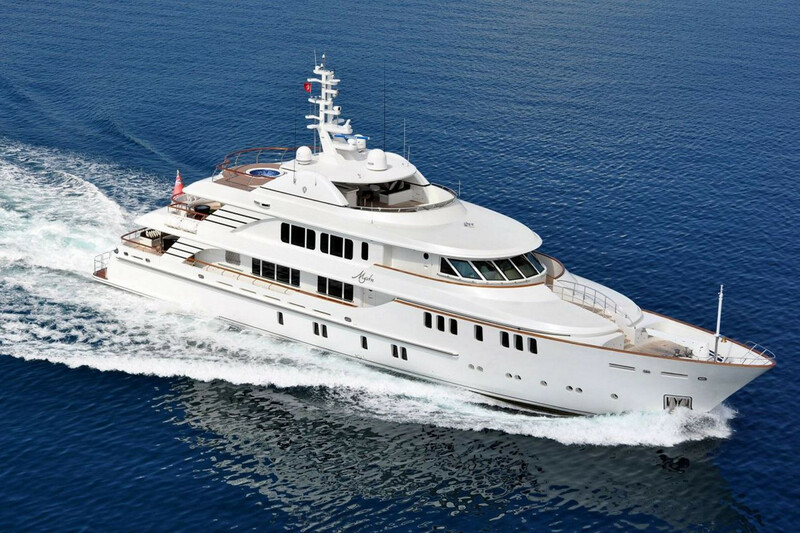 Built to RINA Charter Class for Unrestricted Navigation and MCA LY2 Regulations, she also features zero speed stabilizers for outstanding on-board comfort as well as bow and stern thrusters for exceptional maneuverability. 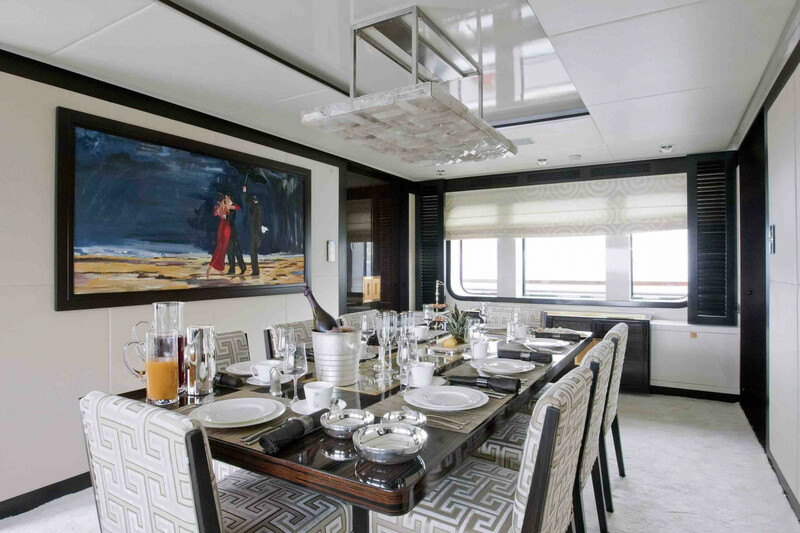 She offers the perfect platform for all manner of cruising vacations, from chartering to an experienced owner wishing to explore the world with his family. 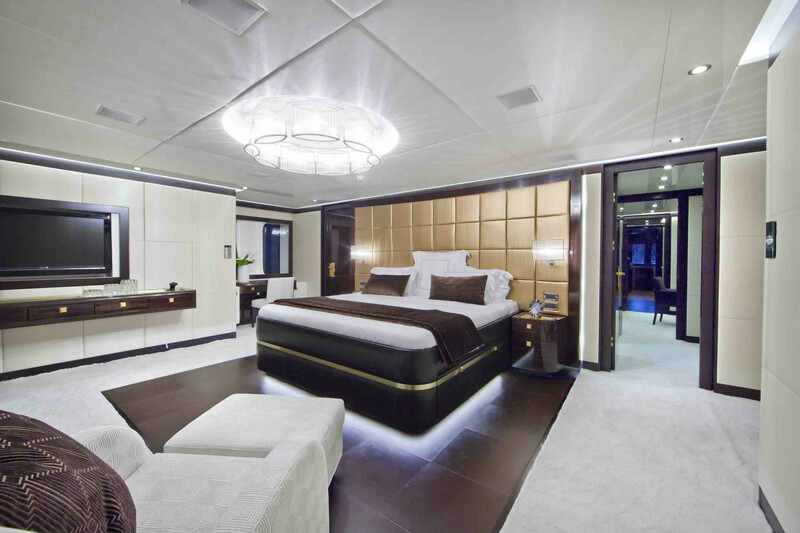 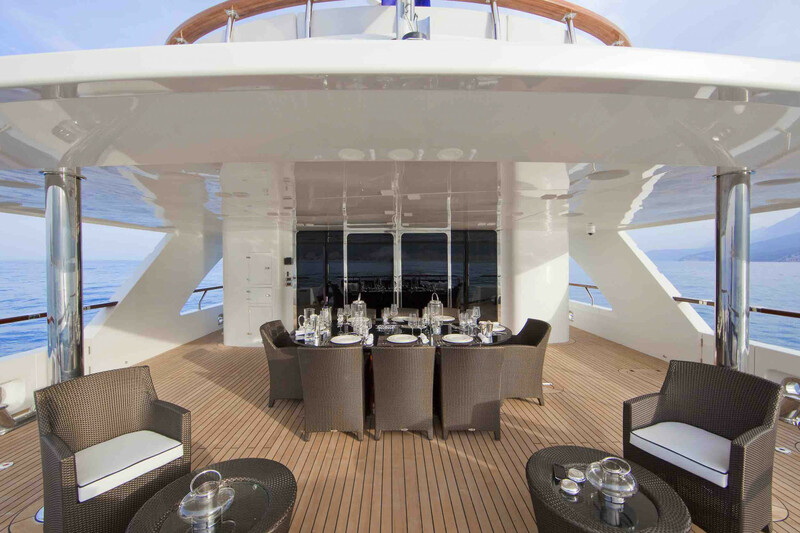 The yacht has a unique layout of accommodation to maximize entertainment and ensure Owner's privacy featuring one Master Suite situated on the Upper Deck with its own aft private terrace and dining. 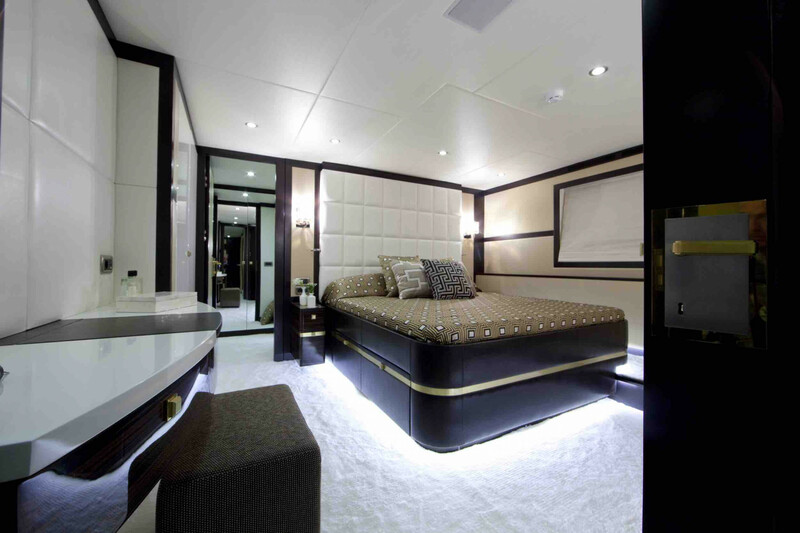 The Master Suite has en-suite bathroom with shower and walk though full beam dressing room and owner's office. 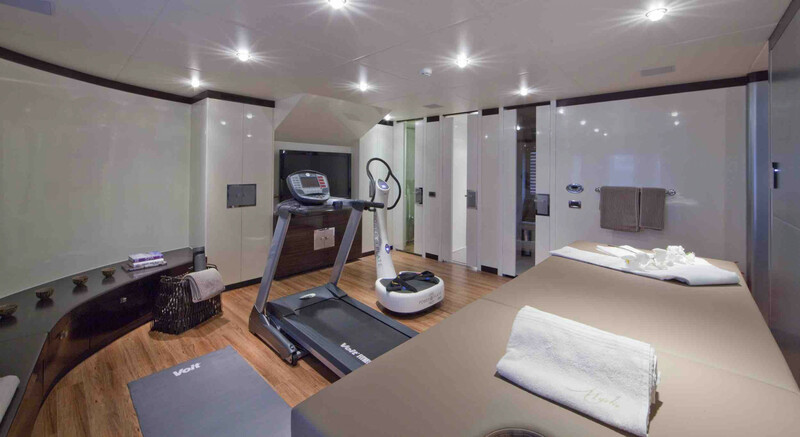 There are also two double guest cabins with en-suite bathrooms on the lower deck whereas her main deck is dedicated to comfort, leisure and entertainment, comprising a fully equipped gym, sauna, spa and private cinema. 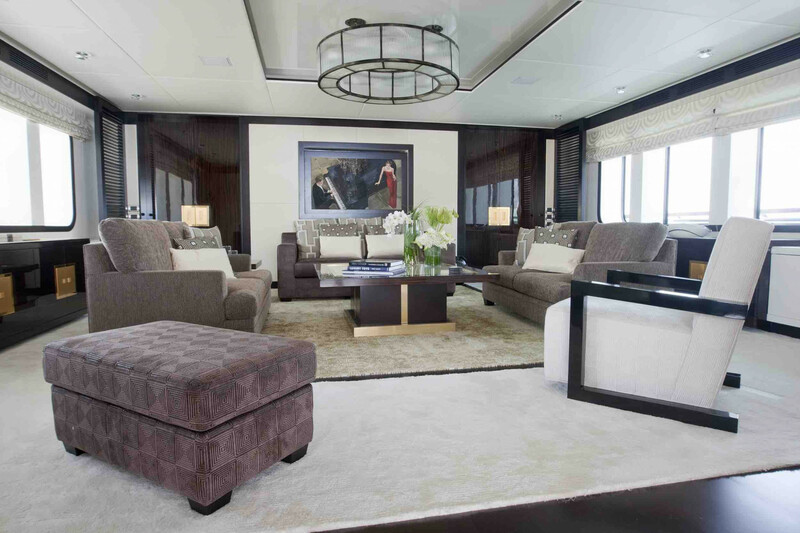 Her decadent living areas play host to sumptuous seating and an elegant formal dining room. 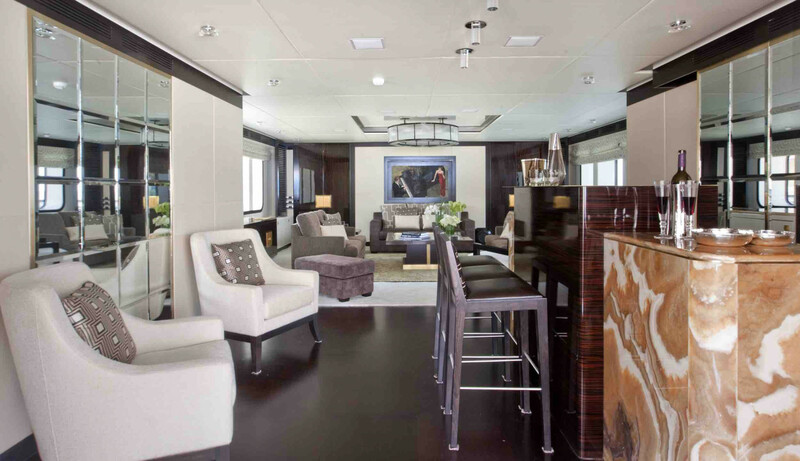 The versatility in the design makes it possible to retrofit the main deck quite easily if a future owner prefers his Master Suite down below on the main deck instead.